It might be most famous for The Beatles, and its two high-flying football clubs but scratch the surface and you'll swiftly realise that there's more to Liverpool than sport and music. Its thriving cultural scene, historic architecture and irrepressible lust for life make this city an unforgettable travel destination. Once hampered by a down-at-heel reputation, there's no doubt that Liverpool's industrial past is now part of its considerable charm. Thanks to decades of careful urban regeneration and its 2,500-plus listed buildings (that's more than any city outside London), the waterfront and other thoughtfully revitalised districts are packed with museums, galleries, bars and restaurants, some of the best shopping in Britain, and a host of gleaming – and interesting – hotels. Liverpool has been recognised not once but twice by UNESCO. Its musical heritage and ongoing musical influence recently gained it the status of UNESCO City of Music, one of only 19 in the world. The waterfront area has been a UNESCO World Heritage Site since 2004, reflecting the city's global significance as a commercial port when Britain's empire was as its peak. Albert Dock is at the heart of the heritage waterfront, closely followed by Stanley Dock, the historic commercial districts and the bustling cultural quarter around William Brown Street. 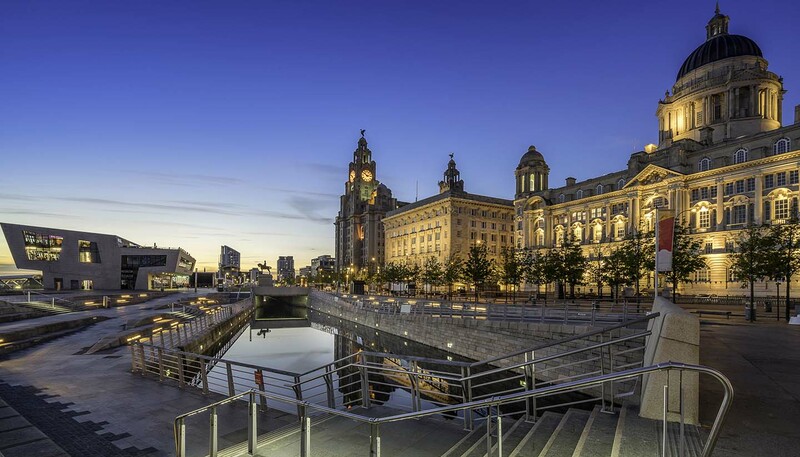 Throw in some shiny new constructions and the iconic principal waterfront buildings of the Pier Head – the Cunard Building, the Port of Liverpool Building and the Royal Liver Building, together known as the Three Graces – and you get one of the world's most recognisable city skylines. Nowadays, culture plays just as big a part in drawing in the punters as footie and the Fab Four. Liverpool holds more national museums and galleries than any other UK city outside of the capital. Its remarkable portfolio includes the award-winning Museum of Liverpool, the International Slavery Museum, Tate Liverpool and The Beatles Story, while the UK's museum of popular music, the British Music Experience (BME), is the latest arrival on the city's flourishing cultural scene. As with music, sport continues to exert a hold on Liverpool, whether in the crowds that cram into the stands to watch Liverpool or Everton play, or the throngs of colourfully-dressed race-goers that turn out each year for the Grand National. Handpicked from a wealth of historical and cultural landmarks, our Liverpool highlights include iconic attractions, heady club nights and buzzworthy dining.